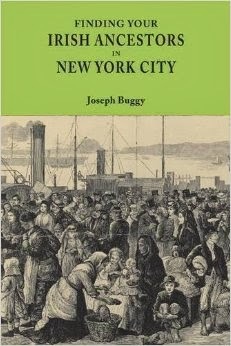 Recently, I came across a very interesting Irish genealogy resource for San Francisco. The Early San Francisco Newspaper Index was created by Thomas and Regina Wrin, descendants of Michael J. Wrin, a prominent businessman who was very active in the forming of Irish societies in early San Francisco. This "database is an index of over 560,000 listings from San Francisco newspapers, 1849-1927, featuring the activities of Irish San Franciscans in over 2,300 Societies. This is equivalent to 112,000 pages of printed data. Each listing includes: individual's name, publication name, publication date, society involved, a brief summary of the individual's activity which generated a mention in that publication." Also known as "The Wrindex", this database is currently not available online but there are a number of ways that you can access the information. Firstly, there is a free name search service available through the Wrindex website. Secondly, you can purchase copies of the index on CD from the same website. Thirdly, the CD's are also available at the United Irish Cultural Center in San Francisco (an organization I have previously profiled on this blog). It is important to point out that this source is a index. It does not contain original records, or copies of them. Instead, it will allow you to take a very beneficial shortcut in your research and go directly to newspaper articles that contain information about those of interest to your research. Access The Wrindex website here.